Well, the date for the launching is set. 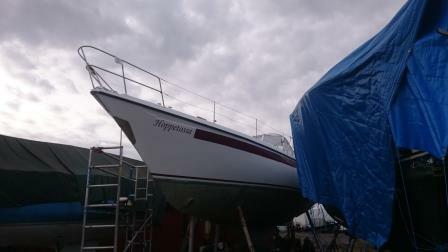 The 8th of May Hoppetossa will be launched into her natural environment. So now the end rush is coming. But before that we visited the boat fair in Stockholm. It was a sweet little fair (what a difference with Dusseldorf) and we visited some companies. One of them was the importer of our ,VHF which they can reset and I strangely enough can’t without having a malfunction, even though I use the same procedure (I suspect they keep something secret from me). In between we also became a member of the Swedish ocean sailing organisation and I had a nice talk with an Englishman who also lived in Sweden and has crossed the Atlantic. The second week of March nice we ather was promised so I hired a construction platform to start on the hull. Cleaning and polishing and giving a layer of wax. We also decided to give Hoppetossa another look so the waterline and a new stripe was ordered, bordeauxred. That was a difficult job and the material was so thin, it broke under my hands. The stripe is on but not exactly how I expected it. Bubbly and wrinkles. Maybe next year we paint the stripe, it is only for the looks so it won’t harm. We also got a not so welcome message. We had hired out our cottage but something came in between and we had to find new people who wanted to rent the cottage. In our panic we put out a temporary advertisement (we thought). After pushing ‘enter’ it took 5 minutes and then the messages came. More than a 100 people were interested. Only the first 10 people we gave an invitation to watch the cottage and all people who visited were so nice and kind. So we had to disappoint a lot of nice people. The couple who is going to live here (Tariq and Helena) will take good care of the house and they have the same dream as we have, they want to sail to distant shores. We think they are going to be happy in the cottage and the cottage will be happy with them. 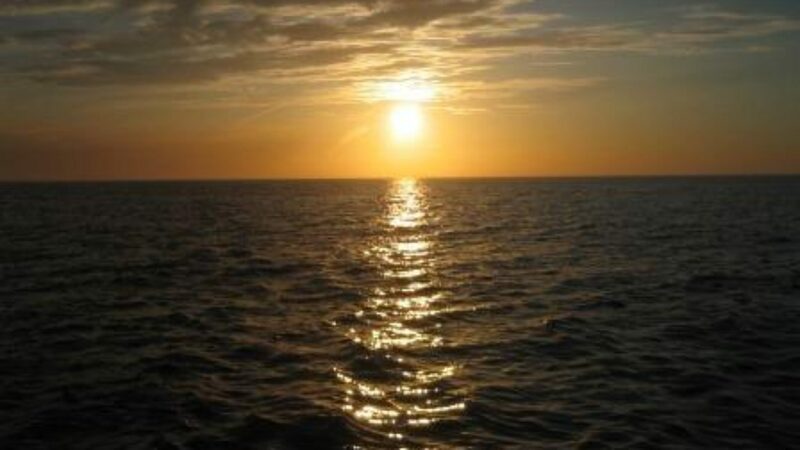 We will keep our eyes for more updates and wait for you in Kalmar to Exchange some more boat- and Life stories! We are glad to have met you, the evening in the cottage remains in us as a memory we like to think back to. All the best, strength and light for the endspurt with work on Hoppetossa until the great adventure Begins! There won’t be a launch party (busy, busy, busy) but we have already planned to visit you in Kalmar.